Herbal Supplements | Highest Quality Supplements Online | Get Here! What exactly are phytonutrients? And what is their role in the body? Phytonutrients are substances produced by plants that have a high nutritional value. With proven antioxidant properties, they are considered natural protectors, helping to quench free radicals and improve our health. Fruit and vegetables are clearly beneficial for human health. They are rich in mineral salts and vitamins, hence the oft-repeated recommendation of the Programme National Nutrition Santé (PNNS) to eat at least five portions of fruit and vegetables a day. You can support your health by consuming phytonutrients to help prevent cancer, cardiovascular disease and premature ageing. Discover Apple Polyphenols, for added protection against the effects of ageing. Or Berberine – a protein used in Ayurvedic and Chinese medicine for preventing type II diabetes. Resveratrol, extracted from black grapes, is another such phytonutrient with antioxidant and anti-inflammatory properties that offer cardio-protective effects. ABG10+® 125 mg60 Veg. Caps. ABG10+® 125 mgclose60 Veg. Caps. Apple polyphenols may increase longevity! Take one vegetarian Bioperine® capsule at the same time as your other supplements. 1 capsule = 750 g raw broccoli. Each capsule contains 300 mg of broccoli sprout extract (Brassica oleracea) standardised to provide 10% sulforaphane. Butterbur Extract 50 mg60 Veg. Caps. Butterbur Extract 50 mgclose60 Veg. Caps. Take 3 to 4 capsules per day with meals. Ecklonia cava Extract60 Veg. Caps. Ecklonia cava Extractclose60 Veg. Caps. Take 2 to 3 vegetarian capsules a day on an empty stomach. If you are taking anti-coagulants, do not take Goji Berry Extract without seeking advice from your therapist. Each capsule contains 300mg of grapefruit extract standardised to 99% naringin. adults. Take 1-4 softgels, 30 minutes before bed. Each softgel contains 75mg of a mix of essential oils. Caution: Do not exceed 9 softgels a day. Effective relief for severe lower back and arthritic pain. adults. take 4 capsules a day. 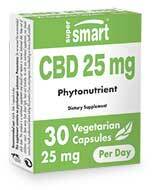 Each capsule contains 250 mg of Harpagophytum extract. There is no doubt that phytonutrients help to maintain good health by producing specific pharmacological effects (antimicrobial, antioxidant, anti-inflammatory, anti-allergy, antispasmodic, neuroprotective, analgesic, etc) and they have thus demonstrated efficacy against countless health problems. Amongst others, they help maintain good bone health throughout life, benefit the skin and prevent cardiovascular disease. 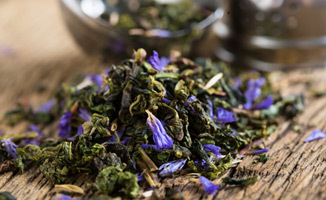 Some phytonutrients, such as catechins in green tea, may also help with weight loss by increasing energy expenditure, and others, such as apple pectin, can reduce feelings of hunger by increasing the volume of the alimentary bolus. These bioactive elements are found naturally in foods of plant origin but because their distribution varies so widely, dietary supplementation is the only failsafe way to ensure you benefit from their properties.